12/15, 66/48, sunny, W5-10 - We stayed in bed until well after the sun was up, or at least theoretically up, in dense fog and rain. I made a hearty breakfast of bacon and kale, eggs and toast and stayed in my pajamas until almost noon. 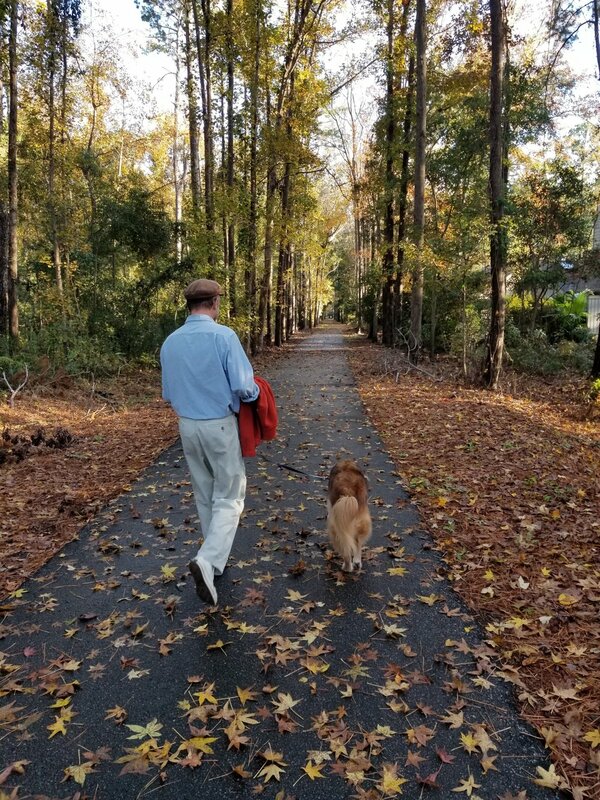 While Dobbs took Murphy on his morning stroll, I wrote for our blog and replied to some friends’ comments on Facebook, and then my Mom called around 10:30am. We had a nice long talk, catching up on the details of our lives. I made lunch. In the afternoon, I reviewed the photos from Thursday’s rigging inspection and sent them over to the client. 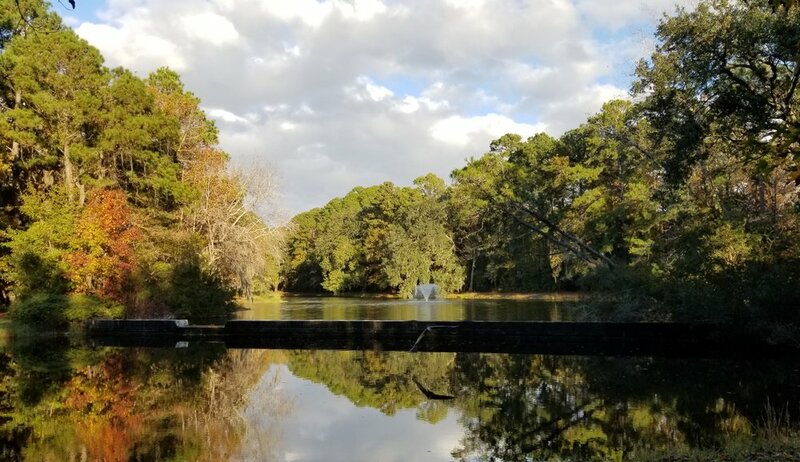 The sky cleared and the sun shone brightly, inspiring Dobbs, Murphy, and me to go for a long walk on the paths that meander through the community. Note the heron in flight, reflected in the water below the dam. Today was warm enough to have the hatches and ports open for several hours. I made chicken Caesar salad for dinner and pressure-cooked a second breast at the same time, for enchiladas later in the week.